If you are having a home newly constructed, there are many reasons why you should schedule a home inspection on new construction. Builders and subcontractors often have multiple work sites, and no matter how skilled the contractor is, human error is always possible. Read on to learn more about new construction inspections and why it is in your best interest to order one from a professional home inspector. All new construction must be inspected by a code inspector who works for the county. Code inspectors make sure the structure meets the minimum code. A third-party new construction inspection covers far more than a code inspection. What is a Home Inspection On New Construction? 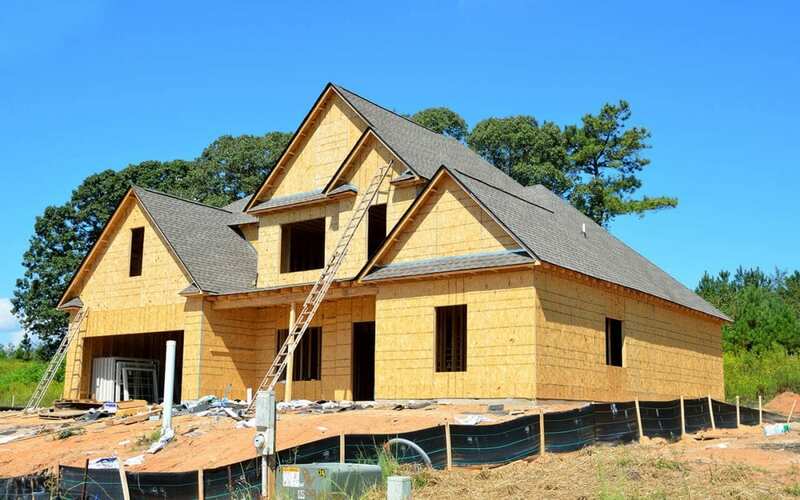 A home inspection on new construction will cover systems such as electrical, plumbing, and HVAC, and structural components like the foundation, floors, framing, doors, windows, and roof, to name a few. The inspector will provide you with a detailed report with photos and descriptions about these aspects of the home. Hopefully, the report reveals that all the work was done correctly and the materials are all in good shape, but that is not always the case. If issues are discovered in new construction, you should know about them before you move in. It is much easier to address any issues while the home is still under construction, then discovering and fixing them once you’re living there. Without a home inspection on new construction, it may take months or years for you to learn about any deficiencies with the structure or systems of the home. Most likely, if the builder offered a warranty, it would have expired by this point. A builder’s more likely to repair any problems found in the inspection before you’ve signed the final papers on the home. After that, they’re on to another job. Any work covered by the builder’s warranty will take time to locate the subcontractor who did it and get him back to your house. When you have a home built from the ground up, you want complete satisfaction before you go into closing. Lakeland Home Inspection Service provides new construction inspections and other home inspection services to Central Florida. Contact us to book your inspection.